The EV-4 Hab+Lab provides habitation and research facilities. Requires an EV-2C ‘Runabout’ crew vehicle docked to forward docking port for complete control during rendezvous & docking (R&D) maneuvers. 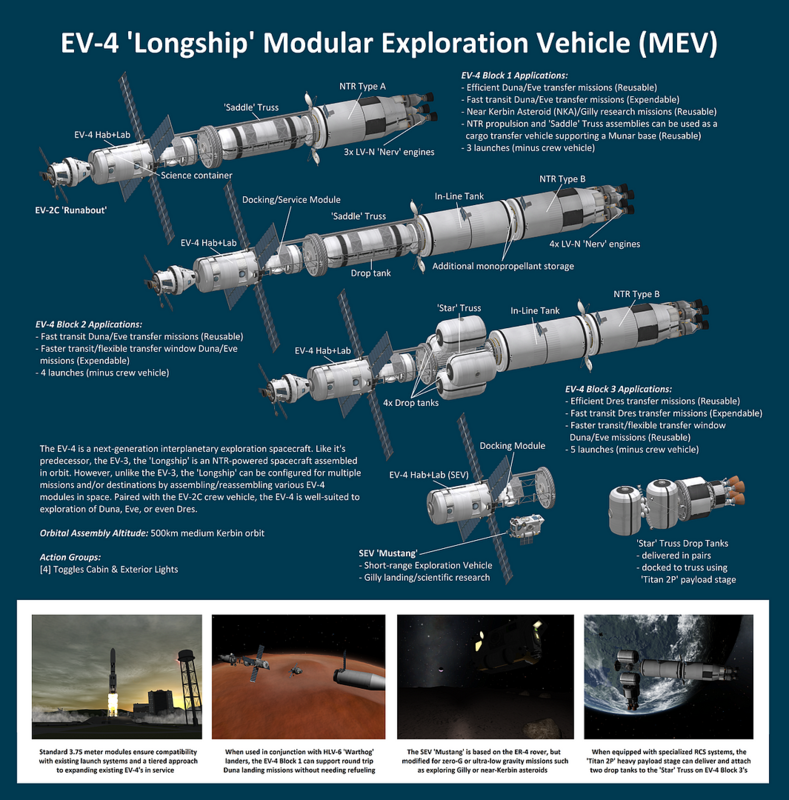 EV-4 Modular Exploration Vehicle Components hanger - All in one place.